Hooray! 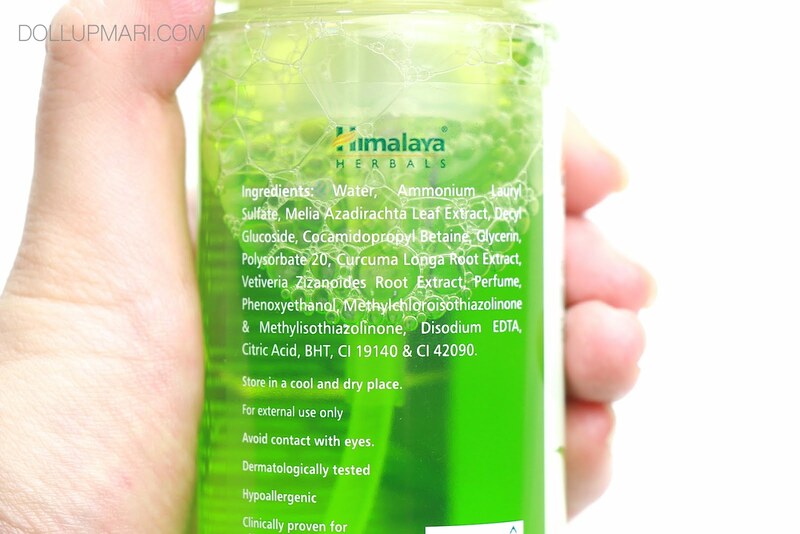 This is my last Himalaya Herbals post for the month! 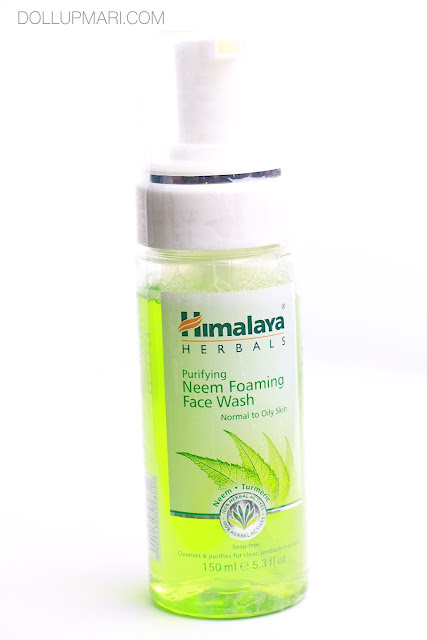 So this is their Purifying Neem Foaming Face Wash, the foam version of their other facial wash. So this is the bottle. It comes with a foaming spout. 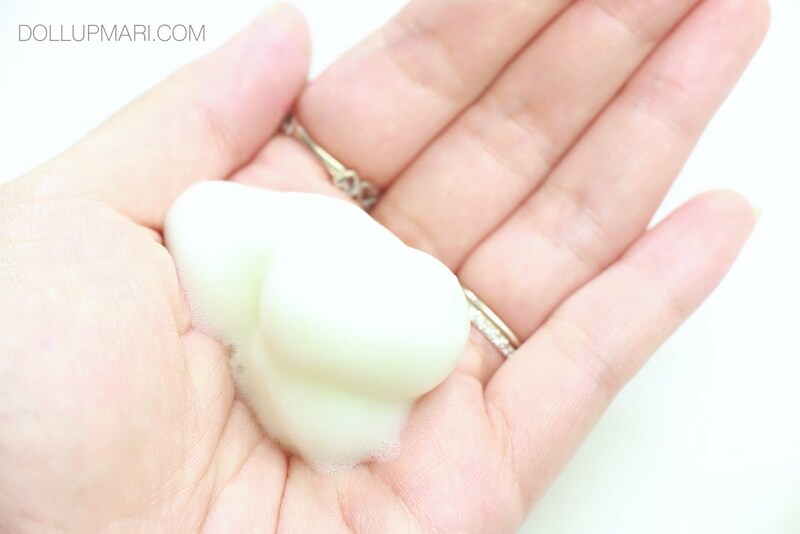 I loooove foaming products because foam generally feels light and packs a deep clean to the skin. At the same time, our family has saved a lot of money on hand soap and dishwashing detergent simply because we reuse foaming bottles and dispense the said products into them instead. 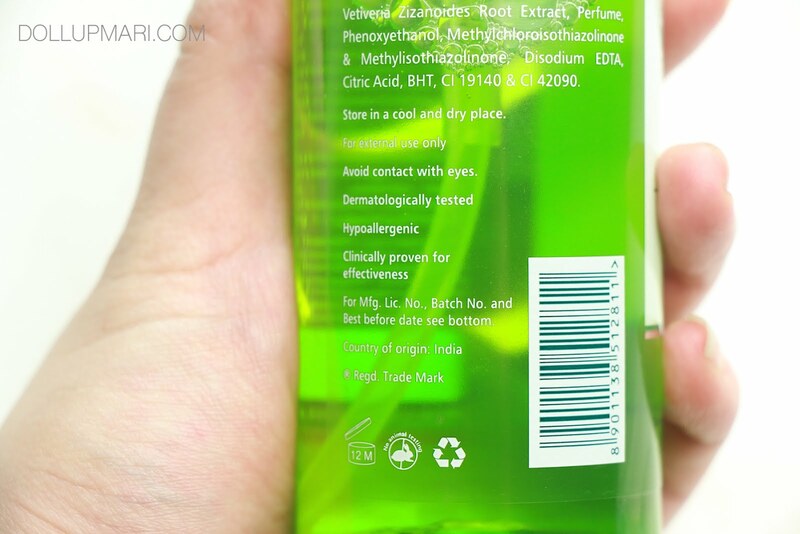 And here is the product information. It's basically a fluffy foam. As in the fluffy foam version of their other facial wash. I like it better this way because the gel format takes a little bit of effort to moisten and lather up when it's already been in storage for quite some time and is already more viscuous. At least with this one, it's already a foam on the spot. 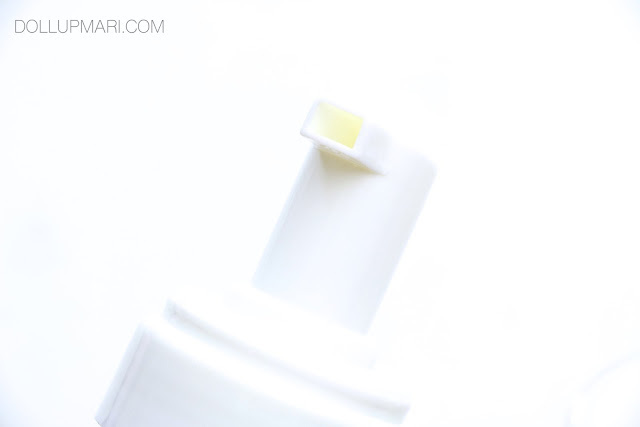 It's really refreshing to use because when you apply it onto the skin it's like the microbubbles pop here and there, which is why there is a positively tingly experience. Versus the gel format, I actually feel that this packs a deeper clean. It also gets rid of oil better. And at least, with this one, this is also very good for cleaning makeup brushes. And like I said, keeping the bottles is a good idea.